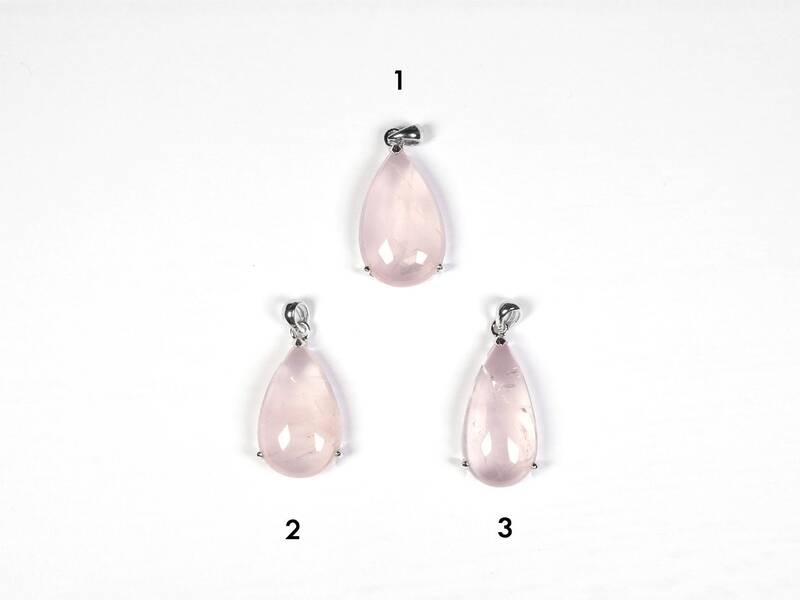 These rose quartz pendants are all natural and genuine. 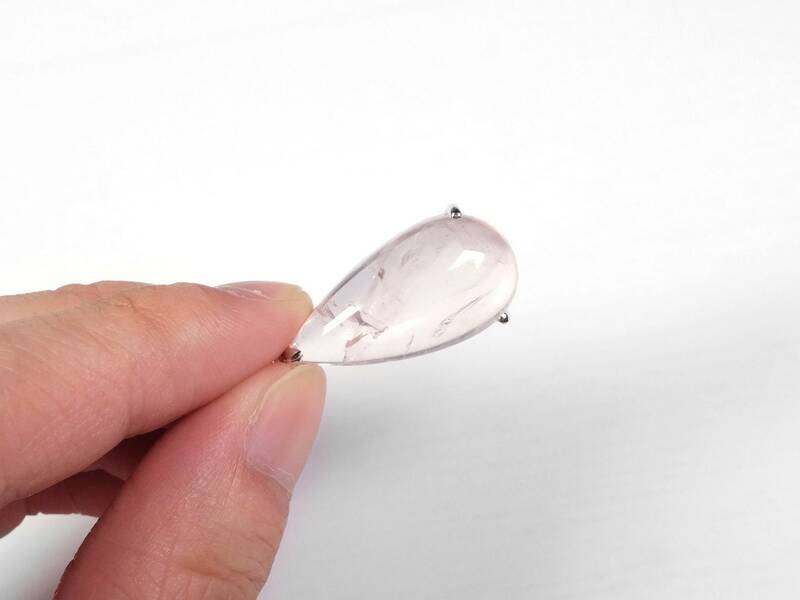 Although the pink color is not intense, the crystals are highly translucent with only little imperfections. 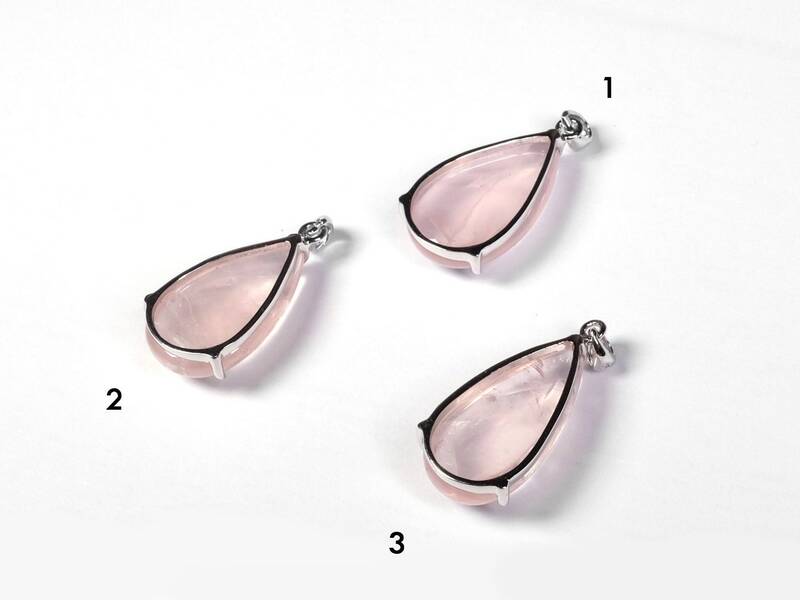 The rose quartz is set in 925 sterling silver bezels. 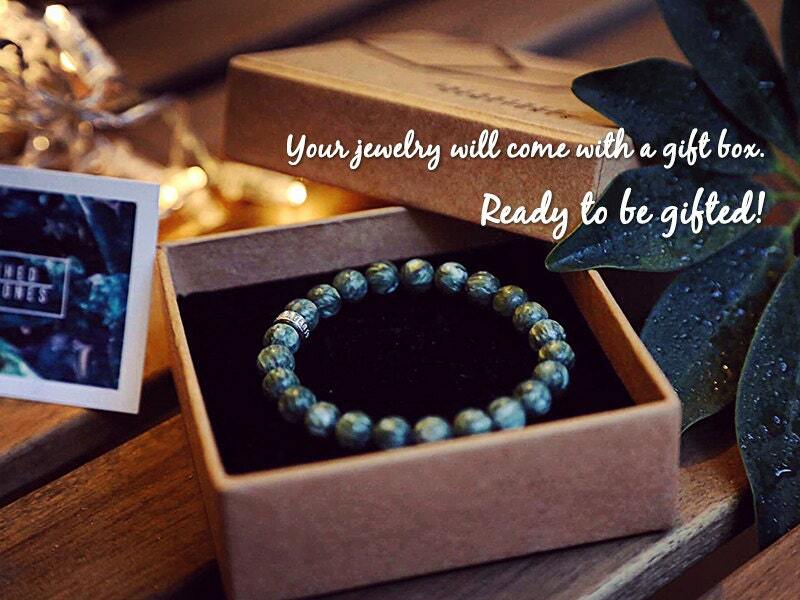 Perfect as gift for yourself or someone you love! 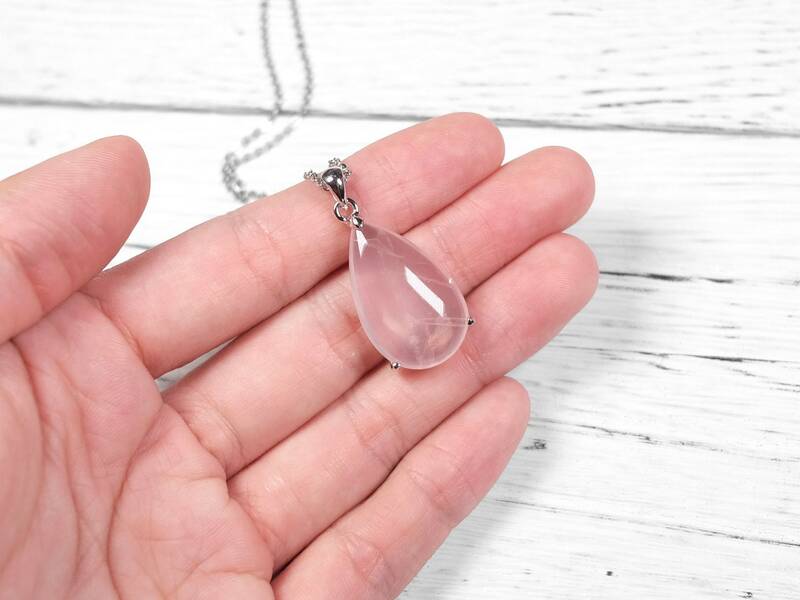 Rose quartz is the pink variation of the mineral quartz. 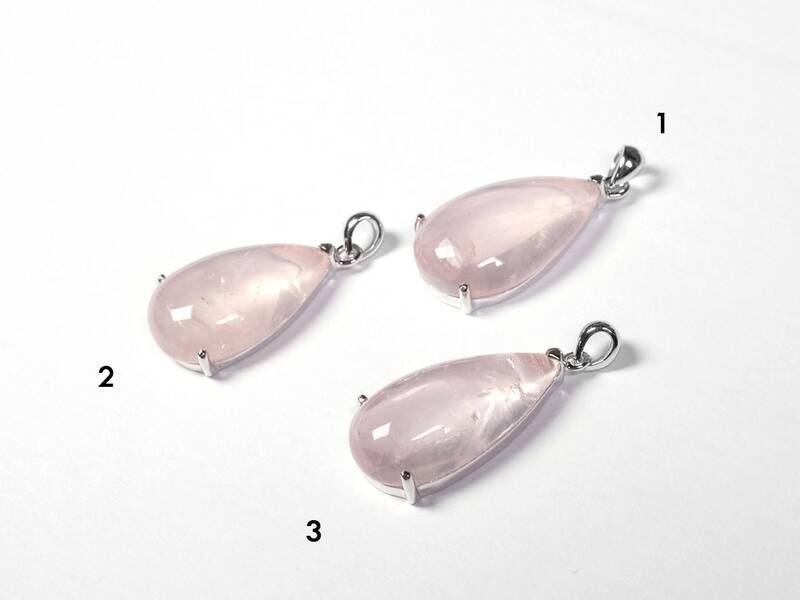 The pink color is given by the traces of titanium inside the crystal of rose quartz. 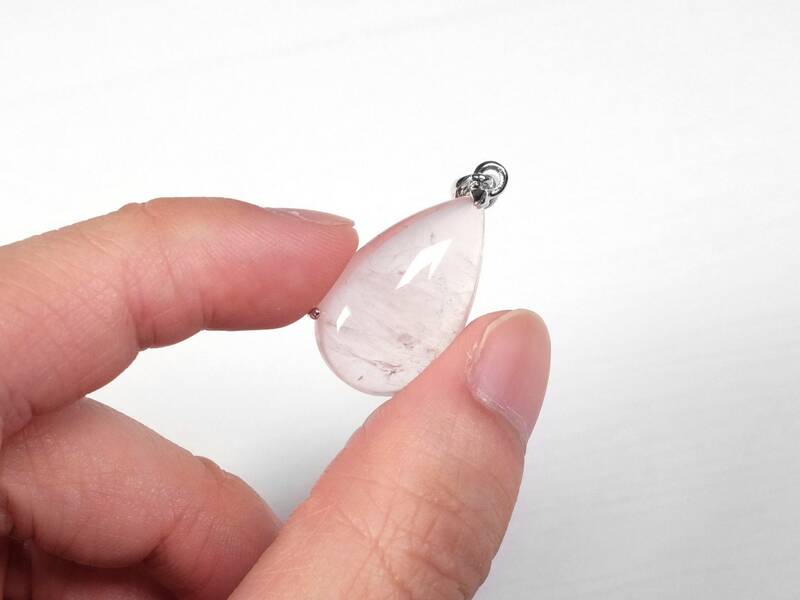 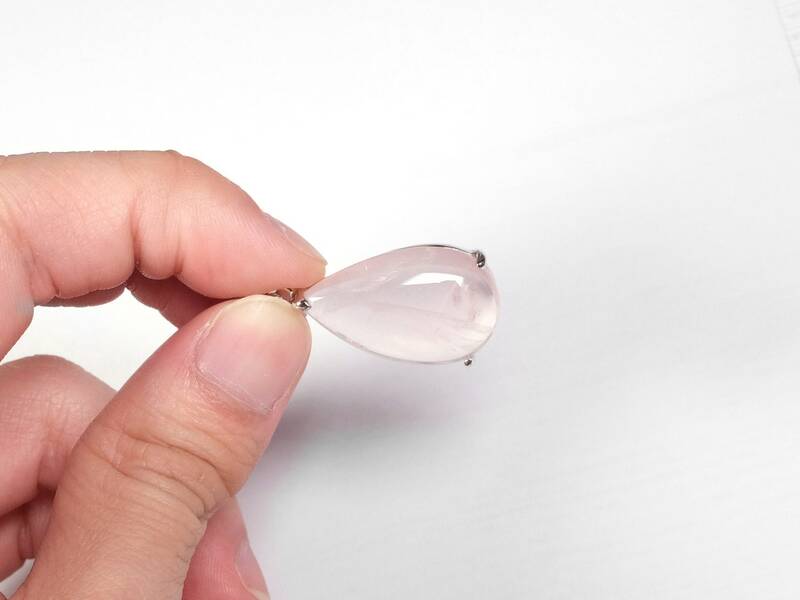 Most rose quartz has a translucent and cloudy appearance, and clear crystalized rose quartz can demand a much higher price. 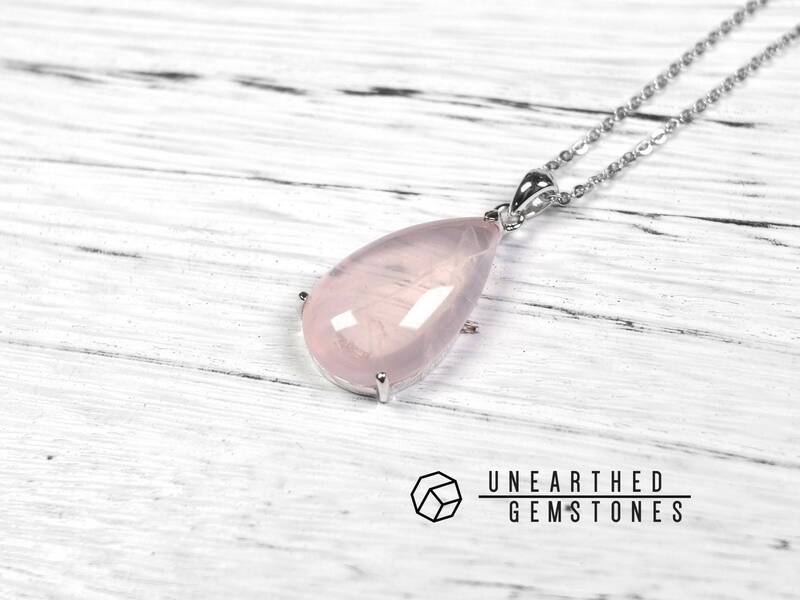 Known as the “love stone”, rose quartz represents powerful love and affections. 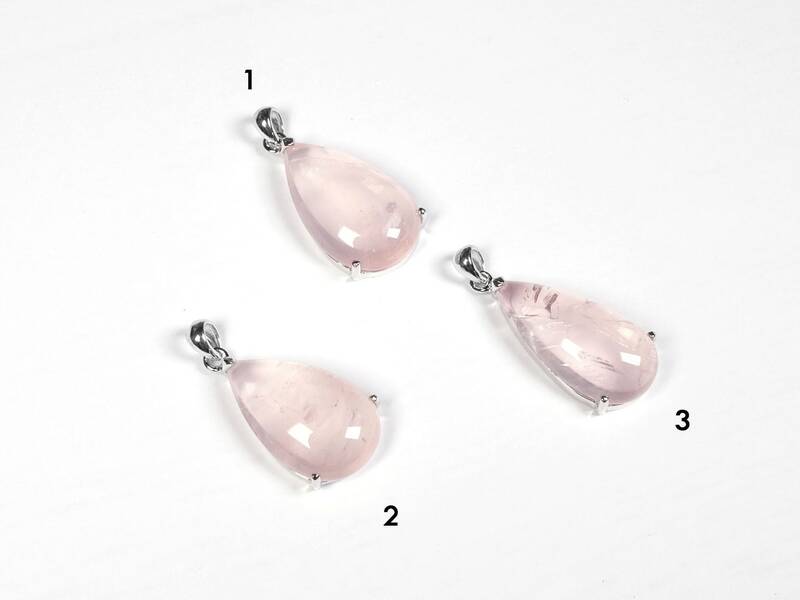 It is a popular choice for jewelry nowadays.